The AT Cables Gold interconnects are made using pure 24K Gold plated OFC copper for an incredible audio experience. Gold is known for its incredible midrange performance without being to edgy on top. We can create a bunch of buzz words and special terms for the alloy we use and a million words to say how they sound , but we are a no-nonsense company, and would rather spare you the time as a buyer. 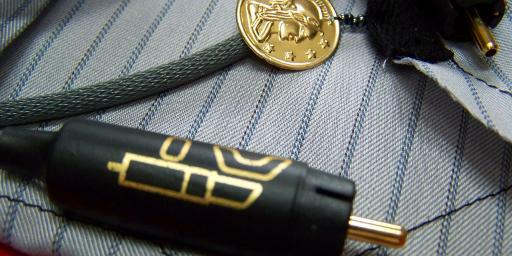 The cables use Eichmann bullet plugs which are known for their transparency and great performance, and the Gold alloy is like no other in that we don’t cloud things by adding silver or platinum. Its obvious there are a whole lot of small AudioGon companies using gold plated, gold copper and silver alloy. Ours stands alone as the only pure OFC copper with a gold outer layer. Your audio happiness is 100% guaranteed using AT Cables.